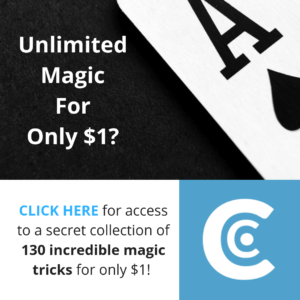 I recently wrote a post full of useful information on where to purchase stage magic illusions on sale, and I thought it might be useful to everyone if I created a new post with all kinds of advice on where to find the best deals for magic tricks on sale! 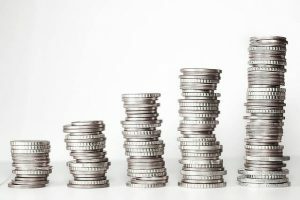 Magic tricks are usually either really cheap (and break straightaway) or really expensive (and sit around gathering dust), so it’s important to do your research before you break out the cash and you might just find you can save more than you thought. Quick disclaimer: Some of these sites have an affiliate program that I’m part of, others don’t. This didn’t influence my rankings in any way! So, here are the top 3 shops with the best magic tricks being sold. Amazon was bound to come up sooner or later so I thought I might as well drop them in there and get them out of the way. There’s no escaping the fact that Amazon is one of the best places to buy goods online, and that’s no different with magic tricks. Although they don’t have the same range in their stock as some of the magic shop competitors, Amazon do include most classic tricks for great prices. They’re especially good for magic books; there’s every book you might need to go from beginner magician to pro if you know where to look. Here are a few of their best magic tricks you can buy! This book can be quite heavy going at times and complex to understand, but with over 300 of the most used sleights and tricks, this book is absolutely essential to all prospective magicians. Luckily, you can find used versions at Amazon for under $4, which is an absolute steal in my opinion. 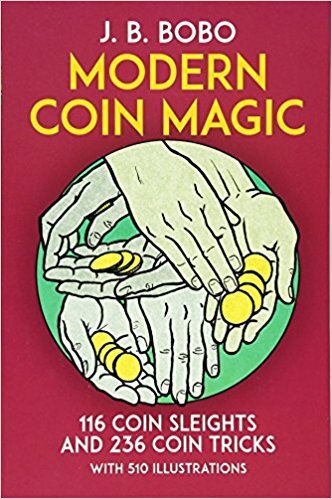 Modern Coin Magic is to coin magicians what Expert Card Technique is to card magicians; their Bible. This little book contains the most comprehensive collection of coin sleights, tricks and techniques out there. Again, it can be difficult to read at times but there’s no denying it is an essential piece of kit for any budding coin magician. Plus, you can buy used copies at under $2. There’s nothing to lose! Amazon is probably the best place to pick up a magic set for younger children, and almost all the kits on my top ten list have been reduced down from their original price to make some great deals! The Merchant of Magic is better than Amazon for a few reasons. It’s got more magic to choose from, as it is a dedicated magic shop rather than an all-purpose retailer. It has better products; Amazon tends to stock magic tricks aimed at younger children, whilst Merchant of Magic is designed for the semi-professional to professional magician. 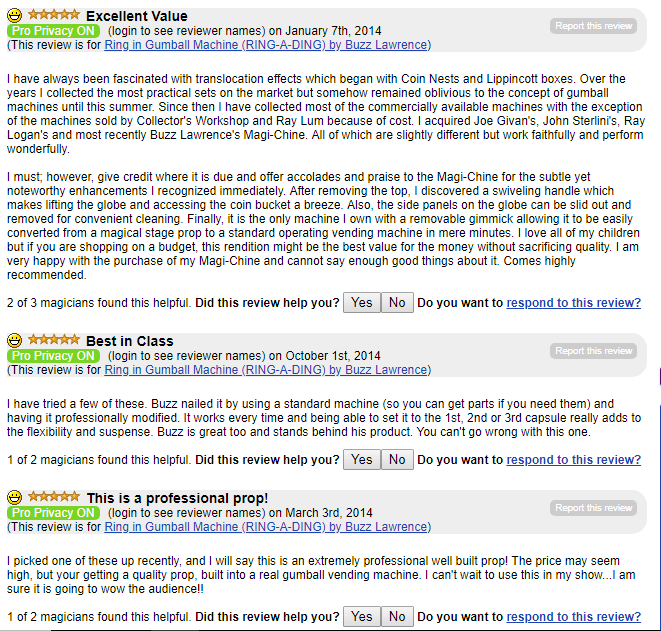 The reviews are more reliable, as it is usually magicians reviewing the products rather than laymen. That may not sound like much but it contributes to a much better overall experience when buying magic. What’s more, Merchant of Magic has a huge sale on magic tricks going on right now, with discounts of up to $250 off! 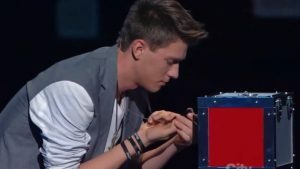 Here are some of their hottest magic tricks reviewed. Paul Harris is one of the most respected creators of magic out there, and that’s for good reason- his tricks never fail to impress. This trick is no different, a miracle done with a borrowed ring. You borrow a ring from a spectator, and hold it clearly in your fist. You ask them to put their hand on your chest for a moment. You close your fist. You open it. The ring is GONE! Sleeves are up, and there’s no way it could have disappeared like that. The spectator feels something beneath her hand, and you let them take a closer look. Impossibly, THEIR ring has transported to a chain around your neck that you never touch once, but instead allow the spectator to pull out. They’ll swear they never took their eyes off you, but somehow their ring is linked onto the chain. Here’s a quick trailer of this trick that should help you get an idea of just how crazy this trick is. It’s a great deal at its regular price, but Merchant of Magic have knocked over 40 dollars off! Eric Jones? Isn’t that the guy who blew everyone away with crazy cool coin magic on America’s Got Talent? That’s exactly right, and now he’s sharing some of his secrets with you in this great product. It’s a simple but highly effective trick that will impress audiences and play well with close up magic. 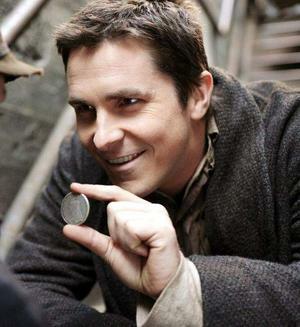 A copper coin and a silver coin are clearly and slowly displayed in the palm of the magician’s hand. He closes his hand up and in the fairest manner possible removes the copper coin. He taps the copper coin on the back of the closed hand once, twice and then a third time. Somehow, the copper and silver have exchanged places! This trick might not sound like much but if you watch this video you’ll get a better understanding of why it is so highly recommended. Incredibly beautiful transformations that do half the work themselves and can be done in the spectator’s hand; what’s not to love? EXPENSIVE MAGIC ALERT. Don’t read if you don’t want to be tempted into parting ways with a large amount of cash for a mind bending illusion. Now you’ve been warned, let’s take a look at what exactly it is that makes this trick worth so much. The ring in gumball machine involves the magician borrowing a (you guessed it…) ring, and making it disappear. But that isn’t where the magic ends! Not even close. 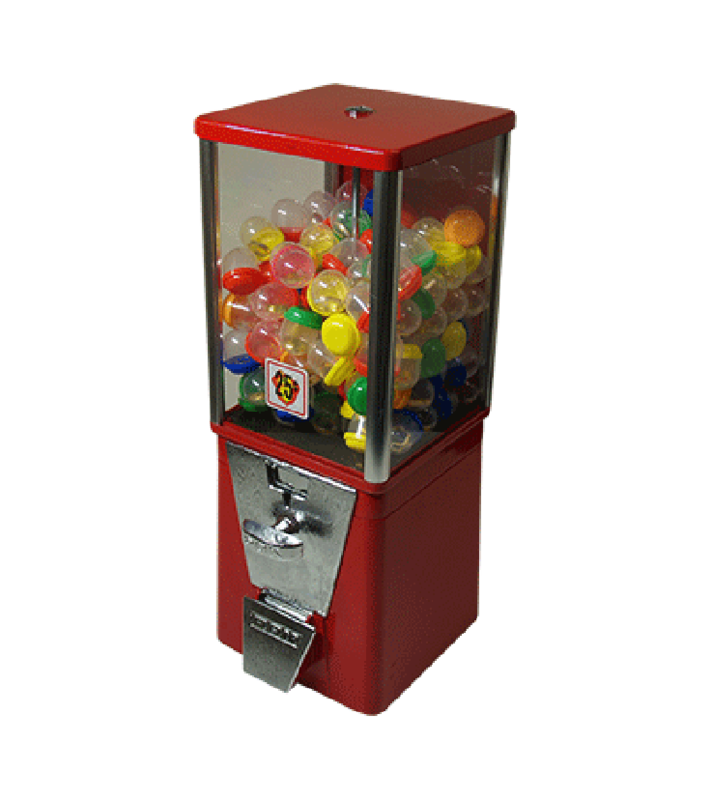 You walk over to a completely ordinary gumball machine, full of prizes to be won. You magically produce a quarter. You let the spectator have a go at winning a prize by inserting the quarter into the slot. As they break open their winnings, they notice something. THEIR ring, inside the gumball. This is the kind of trick you use to close your show, and it seriously is that good. 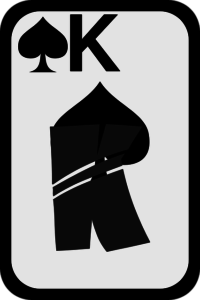 It even featured on an episode of the hit show, Dynamo: Magician Impossible. If you don’t want to spend big bucks on magic, give this one a miss. But, if you’re looking for an incredible miracle that will blow any audience away, look no further! Merchant of Magic are currently knocking over $250 off this product, so be sure to check it out if you’re interested. Any magician you meet will tell you the same thing. Penguin Magic is THE place to go to buy your magic. There’s not much more to it than that! In fact, Penguin Magic stock so many great deals that it’s hard to pick a few of my favorites, so instead I’ll just talk about Penguin Magic themselves. Not only do Penguin Magic stock the most magic tricks at the best prices, they also work hand in hand with professional magicians to deliver more than just magic tricks to you. Your average Penguin Magic shopping experience could range from a killer trick created by professional magicians like Jay Sankey, a free magic trick made by the community, or even a 5-hour long live lecture filled with tricks, tutorials and tips on how to improve your magic by people like Shin Lim! The sky really is the limit with Penguin Magic; there is almost every trick you can imagine being sold. Classic tricks like The Invisible Deck and even newer products like Cube 3 can both be found here. Penguin Magic is based in the US but offers free delivery to the UK on a huge selection of magic tricks (and I’m talking HUGE; a few thousand at least!). 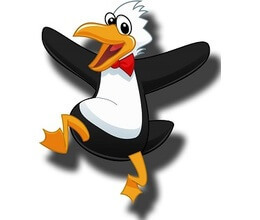 Signing up for a Penguin Magic account is easy and free, and only takes an email address to get started. So, I think I’ll call it a day here. Loads of great places to buy magic tricks on sale out there, it’s just all about knowing where to look. I hope I was able to point you in the right direction, but if you still have any questions, comments or feedback feel free to leave them in the comment section below and I will get back to you within 24 hours of asking! It’s time we had a look at The Prestige movie explained. 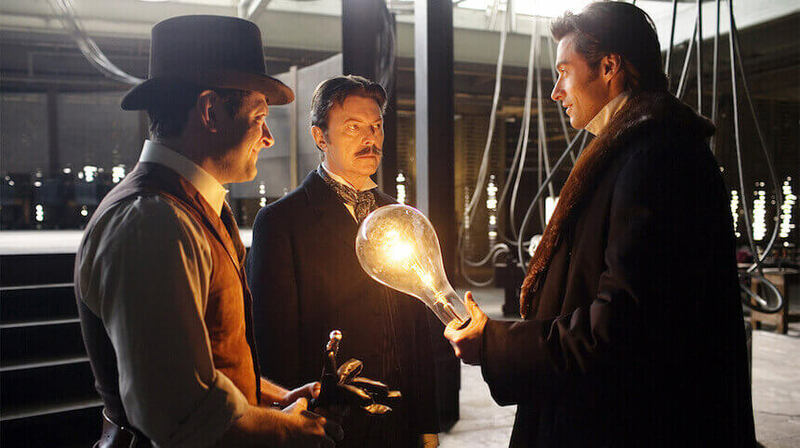 The Prestige is one of my favorite magic films of all time, and I’ve seen it over and over again without ever getting tired of its sheer brilliance. However, there are so many different explanations out there discussing what the ending meant that who knows what was really going on in Christopher Nolan’s head? Here are 3 of the best explanations for what really happened during the mystifying climax of The Prestige and my personal review. DISCLAIMER: Spoilers will be present. Don’t read if you haven’t seen the film yet. Go do yourself a favor and watch it first! So, let’s start out by briefly explaining what appeared to happen in The Prestige, and then we’ll discuss what this could mean. The Prestige is a film about two rival magicians who try to upstage each other until it turns deadly for both of them. Angier (Hugh Jackman) is a talented performer but Borden is the true magician, and blows Angier away with his original trick, ‘The Transported Man’. Angier copies Borden’s trick and calls it ‘The New Transported Man’ but is not satisfied with letting his body-double take all the credit, and eventually Borden takes back the trick by bribing the double and stealing Angier’s audience. Angier, who still doesn’t know how the trick is done, blackmails Borden into giving him the secret by kidnapping his assistant, Fallon. Borden tells him that he uses a machine by Tesla to buy himself time, not knowing that Tesla would end up actually building such a machine for Angier. Angier uses the machine to clone himself and so begins a new show, creating a new clone every night. Borden can’t work out how it is done and ends up sneaking backstage during one of the performances, only to be witness to Angier’s clone falling into a water tank. 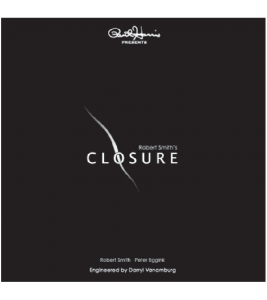 He is wrongly blamed for the clone’s death, and sentenced to death. Borden apparently hangs, but at the same time we see him shoot Angier in an abandoned prop storage area. How is this possible? It’s revealed that there were actually two Bordens all along– they were twins. They took turns pretending to be Fallon, the assistant, and each loved a different woman. Borden is reunited with his daughter and is seen off by Cutter. But is that everything? Let’s take a look. 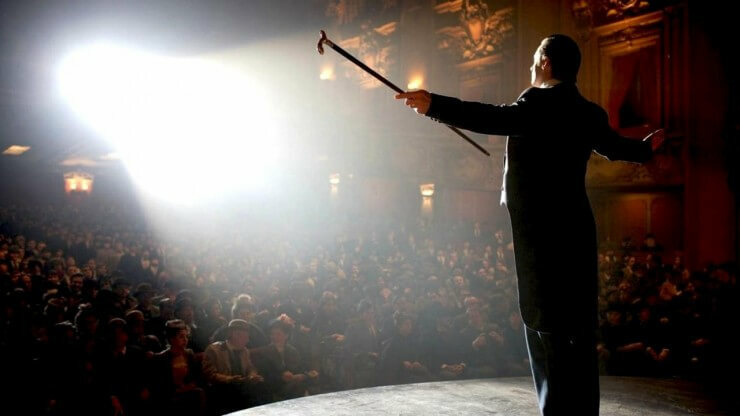 The Prestige Movie Explained, Version 1 : The film itself is a magic trick. To truly understand this film, it’s important that we go all the way back to the beginning. There’s a reason this is one of the opening lines; it foreshadows the development of the film itself, which manages to become a magic trick in itself. Any students of film out there will be able to tell you that film often follows a ‘three act structure’ which in this case happens to mirror the 3 components of a magic trick. First, as Cutter says, we are shown something relatively ordinary. Two struggling magicians trying to make ends meet. Then, something extraordinary happens; the magicians begin having a vicious battle over a trick, eventually culminating in the death of Borden. But that’s not enough, as Cutter says. 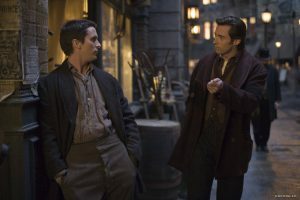 We have to bring him back, which is why The Prestige (or third act of the film) takes place as Borden reappears to shoot Angier, and the two confess everything to each other. It’s an interesting idea; the film definitely seems to mirror the structure of a magic trick, and it isn’t the only extended metaphor we see. What about the disappearing bird and the seemingly innocent question ‘but where’s his brother?’ that tips us off early without us noticing? Or the Chinese man with the water bowl between his legs that reflects Borden’s own sacrifice? The film also uses other conventions of magic tricks, like misdirection. A magician will try to make you look away at the right time or divert your attention from the real method. In The Prestige, we are told the secret early on as Cutter adamantly says ‘he uses a double!’ but this explanation seems too simple, and Nolan misdirects us from it by taking us to Tesla with Angier. We expect the secret behind Borden’s illusion to be so impressive that we completely ignore the truth staring us in the face, which is a classic technique of magic used brilliantly in film. 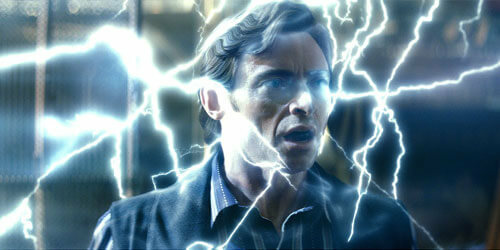 The Prestige Movie Explained, Version 2: The machine doesn’t work, we just think it does. This is a really interesting alternative explanation that I saw on Reddit and although I don’t personally agree I think it’s worth mentioning here! There’s all sorts of other cool sites you can find when you search for ‘the prestige movie ending explained’ and its definitely worth going and looking at some alternate theories too! Remember one of the key lines of the film? The whole film is about the fact that magic is just an illusion, and there’s always a simple explanation if you know where to look. Why then did it suddenly drop a crazy cloning machine in and claim that it was real? 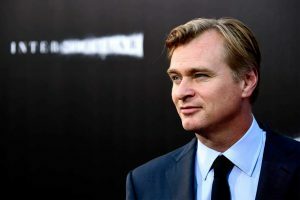 The argument goes that the machine never actually worked, we just wanted to be fooled as an audience, so ignored signs that Nolan was just playing a trick on us. According to this theory, Borden knew Tesla and agreed to send Angier to him as an easy target to get some money from, as Borden knew Angier would fall for Tesla’s claims that he had such a machine. However, in reality Tesla was just using Angier’s money to keep up his funding and strung Angier along with a wild tale of a ‘magic’ machine that Angier was foolish and obsessed enough to buy into. The scene with the cats and the hat may have been set up by Tesla to convince Angier the machine was working, in order to get more money out of him. As soon as he has what he wants Tesla makes a convenient speedy exit, leaving Angier with a broken machine. Angier, instead of giving up, decided to reverse the con on Borden. He uses a body double again but with the machine from Tesla in an attempt to convince Borden he really did get a magic machine from Tesla. Angier knows that Borden’s curiosity will get the better of him and stages it to set him up for ‘murder’ falsely. We know that something isn’t quite right with the narrative, but we want to believe he really did have a cloning machine and so ignore these problems because we want to be fooled by the film itself. This is a really cool theory but there are a couple of issues with it. If it was a double in the tank, why did Michael Caine believe it was Angier? He apparently ID’d the body, surely he would have noticed if it was a double? If you think there’s an explanation to that question feel free to jump into the discussion and let me know in the comment section below! The Prestige Movie Explained, Version 3: We don’t want to know the explanation. This one is a little less detailed than the others, but it is definitely worth a shout. The truth of the matter is, maybe there are more hidden alternative explanations or tricks within the film, but we just don’t want to know. A magic trick is always enjoyable when we don’t have it quite figured out, and this film is no different. The whole enjoyment of The Prestige is trying to wrap your head around it; if we got the whole explanation there would be nothing to speculate or wonder about? There’s no denying that it is much more fun to watch it without fully understanding, which is in itself the whole point of the film. Just like in magic, we prefer letting our imagination fill the blanks rather than the actual explanation. 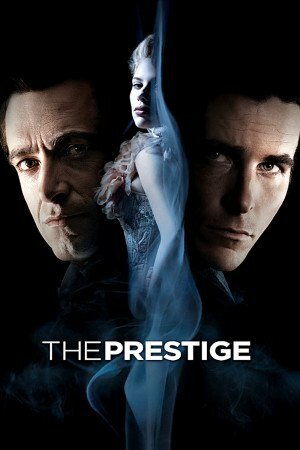 So, overall, The Prestige is my favorite Nolan film and one of the best films ever made. Of course, it might be worth checking out the book it was based on, written by Christopher Priest, which I’m sure will only heighten your appreciation of the story. Here’s a great video I found on the channel Nerdwriter1 discussing some of these exact theories! Did you agree with these theories? Do you have any alternative theories that haven’t been mentioned yet? If you do, feel free to leave them in the comment section below and I’ll get back to you within 24 hours! I hope you enjoyed my two cents; the Prestige movie explained is still just as much of a mystery as before for me. If you’re David Copperfield (who just officially became a billionaire) you won’t have to worry about the high prices of props in stage magic, but for those of us with smaller wallets it’s always a good idea to look out for stage magic illusions on sale. Stage magic is an expensive hobby. 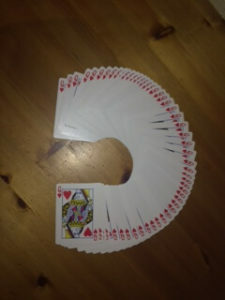 Everyone who performs stage magic knows this; it’s one of the reasons there are much more card magicians than stage magicians- it’s so much easier to just pick up a pack of cards for 5 bucks than invest in a floating table for 100. So I had a search around the web for the best places to buy stage magic at the lowest prices and these shops came out on top. I’ve also included a couple of the best value products from each shop to give you an idea of what deals are on. Without further ado, here are the best online markets to buy stage magic illusions on sale today and my personal reviews of their magic! 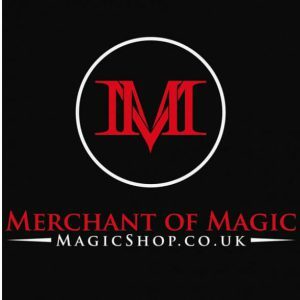 This shop I actually came across by complete accident, but as it turns out they have some of the best stage magic illusions out there available to buy. This is one of the most reputable and reliable producers of stage magic illusions on the web, and they have personally made products for top-level magicians like Criss Angel. The site might not be flashy but that’s because all the effort goes into creating quality props and equipment. 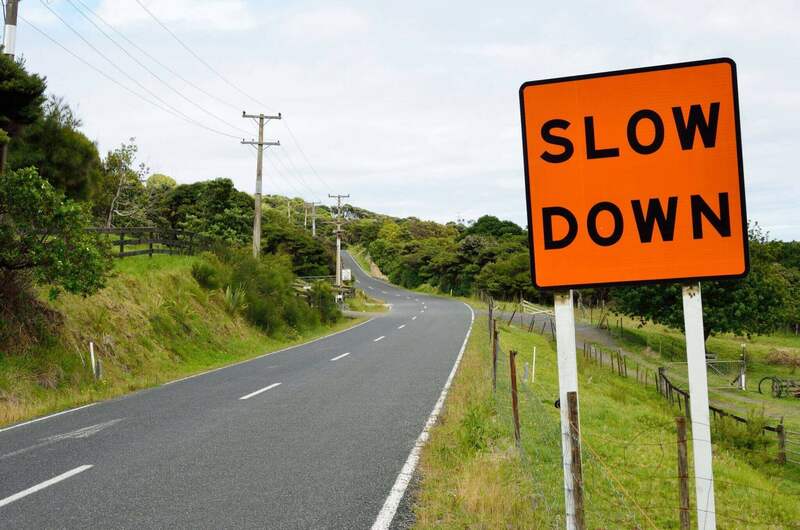 Prices might be higher than elsewhere, but wouldn’t you rather pay $100 more and have a piece of kit for ten years longer than the cheap equivalent? I know I would. Malloy Modern Magic are actually one of the few shops that stock the real Master Prediction System; chances are any others on the market are cheap knockoffs that don’t work. This trick is used on the biggest stages of all because it is one of the greatest prediction devices ever created; I’ll explain exactly why just now. The magician displays a locked box hanging off the ground, impossible to get to without the spectators noticing. The magician then selects random members of the audience and lets them call out names of anything they want- it could be the name of their dog, a celebrity or a city but the important part is that it is a completely free choice and the magician had no way of knowing what they would say beforehand. The names are written on a board and shown to the audience so there is no chance they will forget them. The magician explains that he had a dream the night before in which he heard a few names over and over again and felt impressed to write them down when he woke up. He then put them into envelope, sealed it up, put it in a container and locked the whole thing in a steel box, which has been on display the entire time and no one has touched. He slowly unlocks the box and pulls out the container, which contains a sealed envelope inside. Opening the envelope reveals a single slip of paper with the exact names the audience selected written on it. No switches are involved- in fact, you can let an audience member open up the envelope if you want! 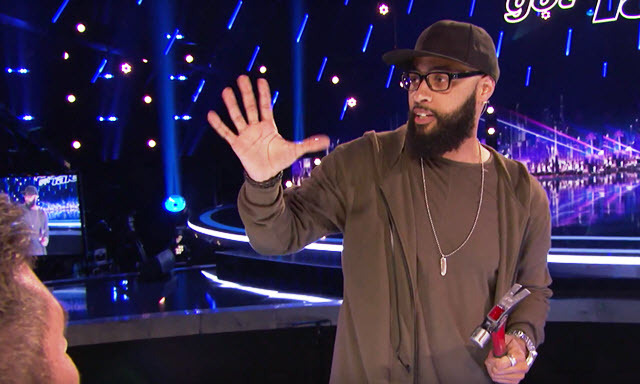 This trick is the holy grail of on stage predictions and you can see it used by Criss Angel to Oprah Winfrey and Collins Key on America’s Got Talent if you go check it out on the Malloy Modern Magic site! Almost everyone has heard of Michael Jackson’s famous anti-gravity dance move in Smooth Criminal, but did you know you can learn ‘the Lean’ and use it in magic? This is actually an easy trick to perform; it can be done completely surrounded and doesn’t need any assistance to pull off. You can even perform this stunt outdoors! This is one of my personal favorites in stage magic, probably because it reminds me of the first time my mind was truly blown by Canadian magician Darcy Oake. Dove magic is difficult, but it goes hand in hand with stage magic so if any of you are looking to learn magic with birds, you are going to need this key piece of kit. 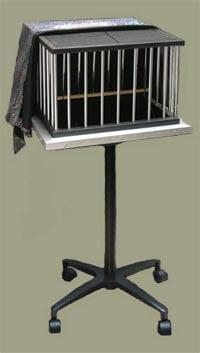 You show the audience a regular empty bird cage on a table, and slowly cover it with a cloth. With a snap of your fingers you whip away the cloth to reveal live birds sat in the previously empty cage. This trick absolutely destroys audiences and it’s no wonder; it looks incredible. Alternatively, you don’t have to just use this production cage for birds; you could use it for rabbits, stuffed toys or flowers. There is no end to what you could use this for; you might vanish a card and have it reappear inside a box inside the cage. Here is a great video of Darcy Oake doing some brilliant stage magic with birds that might give you an idea of the kind of effects you could create with this trick. All of these products and more are available at Modern Malloy Magic! It’s hardly a surprise Amazon features on this list; the online retail giant has been going from strength to strength lately and magic tricks are just one of many products to now feature on their list of great deals. A lot of classic magic illusions can be found on Amazon, and although you may not find everything you need they have more than enough to keep most stage magicians happy! There are also some great stage illusions at low prices right now that I will cover below. The floating table is a classic of stage magic. The magician usually uses it as an opener as he slowly emerges on stage trying desperately to stop a table floating to the ceiling like it’s some kind of helium balloon! A truly mystifying trick known only to stage magicians (the rest of us can’t afford it!) this trick is guaranteed to impress audiences and set you up as a great performer. Here is a video of a magician performing this startling effect. Even when you understand the mechanics of it, this trick still fools you purely because of how good it looks. You hold a cloth over a table and let the audience observe that there is absolutely nothing under the cloth, before slowly lifting the cloth up to reveal a bird cage that has appeared out of nowhere. You can then use this cage for dove magic or any other animals. This is a really handy piece of kit for stage magic! Now I know what you’re thinking – enough showing off, just show us where the deals are at! Well, here you are. Amazon is currently running a deal where you can get BOTH the floating table and the appearing dove cage in one. Instead of paying a thousand dollars per product, you can get both of them for under $500! Out of all the stage magic deals I found, this deal seems to be one of the best. Make sure you do your research before you place any orders though! Alternatively, if you are only interested in getting the floating table you can find that on Amazon too. 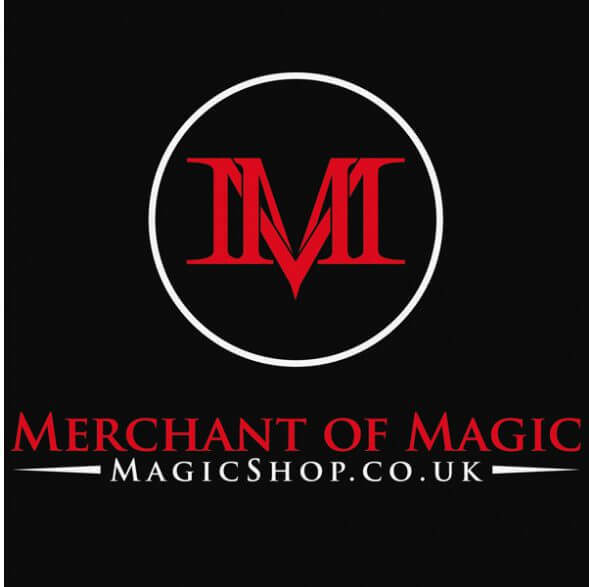 The Merchant of Magic is an online retailer specific to magic tricks, which means you’re more likely to find more relevant stage magic illusions on sale than on an all-purpose site like Amazon. In fact, this site is one of the best places to find stage magic tricks at low prices on the net, and even their non-sale range has great products at great prices. The website is easy to use and well-organised with huge stock and what feels like unlimited magic! 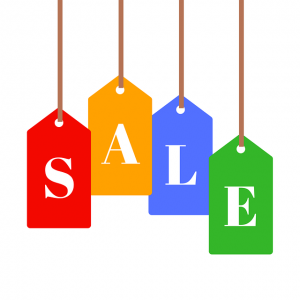 As it turns out, they actually have a sale running right now with up to $250 reductions! Here are a few of their best deals running at the moment. The dancing wand (or dancing cane, as referred to by some) is a classic of stage magic in which the magician takes a 30” magic wand and lets it dance around him in the air to the bewilderment of the audience. This trick usually costs in the range of $50 to $100, but Merchant of Magic are selling it for only $30. And what’s more, it’s down to $22.20 in the sale! A great bargain for a great trick. Who said juggling clubs weren’t magical? Anyone who has ever watched a magician or circus performer send a few clubs whirling into the air (maybe even on fire) and catching them whilst balanced on a tightrope will tell you that juggling clubs are magical. That being said, as a stage magician you may think juggling is not your forte. But take a look at this incredible performance by Penn that demonstrates just how limitless the possibilities of a juggling act can be. This is actually one of my favorite acts by him, and it’s not hard to see why when you watch it. If you can’t juggle at the moment, consider buying some clubs and learning- it’s a really great skillset to gain as a stage magician. Merchant of Magic are currently running a sale on juggling clubs that knock them down from $41 to $26 which is a really good deal, considering that you’re getting both clubs and DVD instructions for almost half the price it should be! 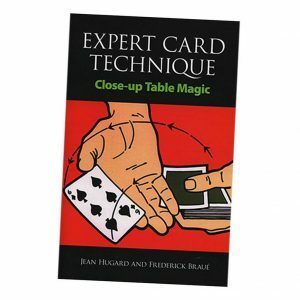 Note: Of all the stage magic illusions available, this had the biggest price drop at almost $300 difference! This product should only be considered if you are already a stage magician; the price is pretty high for amateurs. However, the effect is well worth it. 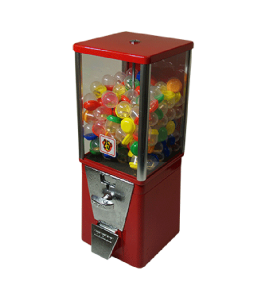 The effect involves a gumball machine (you’ve probably seen them hundreds of times without thinking they could be used for magic) made by the same company as thousands of others across the country, giving it a real legitimate feel (because it IS legitimate). 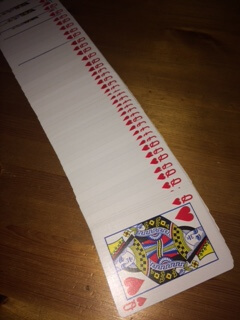 Performed by Dynamo himself on his hit show, Magician Impossible, this trick involves taking a spectators ring (or any similar sized object) and vanishing it. Next, the magician makes a coin appear from thin air. He asks the spectator to insert this coin into the gumball machine. Sure enough, the vanished ring is dispensed from the machine to their astonishment! This set might not be what you were imagining when you started looking for stage magic illusions to buy, but it plays well on both the big stage and close up, and is a great set to add to your repertoire while it’s on sale. What if you’re looking for instructional material or DVDs? Merchant of Magic also have some great DVD sets available, such as a 3 part course in bettering your stage magic by Jeff Mcbride- one of the best stage magicians of them all. There’s 3 of his DVDs available at the moment, so make sure to grab them while you can! Not only does Jeff talk you through each trick, he also explains the psychology and philosophy behind performing them at the same time. Penguin magic is the Amazon of the magic world, and has a huge number of stage magic illusions on sale 24/7. I’m planning to write a longer article about what Penguin Magic offers in the future, so keep an eye out for that! For now I’ll suffice it to say that not only do they stock some of the most popular stage magic illusions, they have live lectures full of advice and tricks by professional stage magicians like David Williamson available at incredible prices! Well, that just about covers it for today. I hope you found some good tricks and stage magic illusions on sale that were what you were looking for! If you have any questions, comments or feedback feel free to leave it in the comment section below and I will get back to you within 24 hours! The Magic Coloring Book Review: Does It Really Work? I know what you’re thinking. The Magic Coloring Book? Isn’t that the magic trick that uses a children’s coloring book? Why should we be interested in that? All valid points. 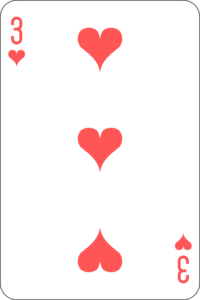 However, in today’s magic review I’m going to try and explain just what it is about this simple looking trick that makes it such a personal favorite of mine. What is The Magic Coloring Book? The Magic Coloring book is a very simple visual magic trick. The magician first presents an ordinary coloring book to the audience full of black and white drawings. He slowly flicks through all the pages, ensuring the audience can see that none of the drawings have been colored in yet. The magician closes the book fairly and gives it just one tap with his wand. Without making any funny moves or using any sleight of hand, he reveals that the book is suddenly full of color. All the drawings are, impossibly, completely colored. But the trick isn’t over yet. After the magician lets the audience inspect the magical coloring’s, he closes the book. Yet again, he taps it with his wand. At this point, the audience are expecting the color to disappear- it seems the most logical outcome. But to everyone’s surprise, as the book opens we see that all the pages are completely blank! No color, no drawings, no nothing! After this incredible end to the trick, the magician simply sits back and soaks up the applause. Okay, that may seem a little bit of an exaggeration, but seriously, don’t hesitate picking this trick up. You won’t regret it. How hard is this trick? Okay, here’s the even better bit. This trick is one of the easiest magic tricks, ever. Honestly. It’s even easier than Cardtoon! The method is incredibly simplistic. This is great, because it means you have more time to work on your presentation; the trick might be easy, but that doesn’t mean you don’t need to prepare hard. Try to think of a possible story you could work into it, something to make it more interesting and capture people’s attention. Are there any negatives to this trick? Of course, no trick is perfect and so there are definitely a couple of things I would mention as slight drawbacks to the effect. The biggest downside is that you can’t hand the book out for inspection after the trick. Naturally, you will have people ask to see the book, so I would suggest a couple of methods for avoiding being caught out. Method 1: Move on to another trick. This method only works if you have a couple of effects handy, but it is a good way of steering clear of pressure around the coloring book. Once you have finished the trick, give it a moment or two for your audience to react, and then quickly pull out your next effect, putting the coloring book away as you do so. While you are doing the trick, make sure everytime something magical happens, you pause and allow them more than enough time to get a good look at the pages. Flick through the book nice and slowly so they have no reason to feel anything is being hidden from them. This one requires you to have an extra copy of the Magic Coloring Cook, only this one is completely full of regular blank pages. Have this copy stored somewhere safe, like in a backpack or whatever you use to carry around your magic. 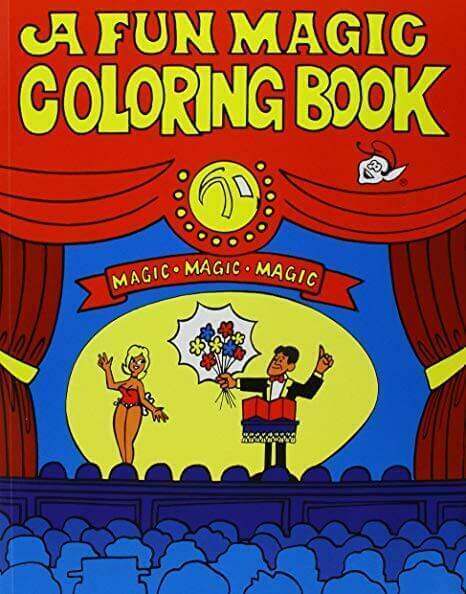 After you finish the trick and present the impossibly blank book to the audience, quickly put the real Magic Coloring Book in your backpack/bag. That way, if no one asks to see it, you’re fine, and if people do ask to see it, you can simply pull out your extra copy of the Magic Coloring Book full of blank pages and pass it around. How do you make this? 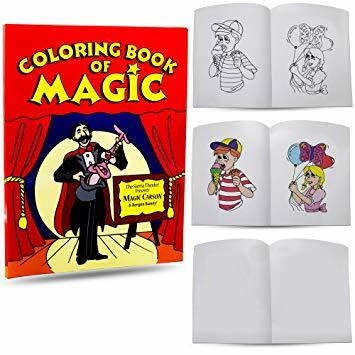 The good news is, you can actually purchase ‘blank’ versions of the Magic Coloring Book that are made to look EXACTLY like the regular book but are full of blank pages. This one can be inspected by the audience as much as they want. I couldn’t end this article without including this performance of the Magic Coloring Book including a certain Eddie Redmayne, Benedict Cumberbatch, Bryan Cranston and Graham Norton. What’s interesting is that Eddie Redmayne actually performs this trick a little differently to the commonly accepted way. He begins with the blank pages rather than ending with them, which creates a nice little ladder of effects- from the drawing appearing to the color appearing within the drawings. This demonstrates just how flexible this trick is; the way you present it is completely up to you. It’s worth pointing out that Eddie’s idea of allowing other people to perform the magical action such as blowing on the book is a nice touch too, so if you can incorporate the spectators in this trick go for it. The Magic Coloring Book is often advertised as a magic trick for kids; but I think it work just as well on adults in the hands of a capable magician! Once you understand the mechanics of the trick, you even begin to see how it could be applied to other areas of magic too. Where can I buy this trick? This trick is actually very cheap, around a fiver on Amazon but I’m sure it can be found elsewhere too!